This is the LawMate AR100, a covert audio recording system cleverly disguised as a standard car key fob. 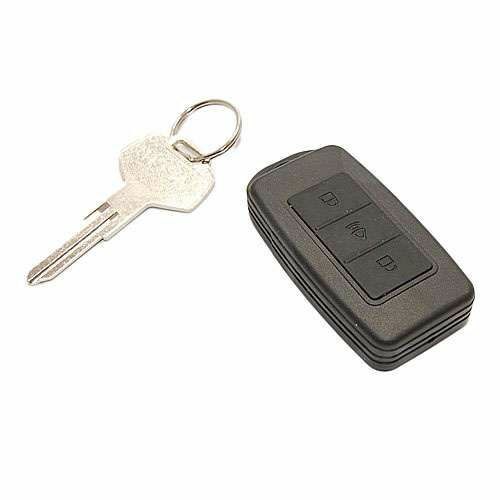 The Lawmate AR100 key fob audio recorder is a device with just one button recording and one button stop. The internal rechargeable battery allows you to record for up to 15 hours continuously to its internal 2gb memory. The rechargeable battery has a standby time of up to 50 hours! Use the supplied USB cable and the AR100 recorder provides you fast USB download times to your computer. This is such a simple yet very effective surveillance device to capture Law Enforcement grade audio recordings that can be used as evidential material. This system is so covert you can pass it to someone and they would never know that it’s anything but your normal car keys! The recorder can be carried with you everywhere so you can covertly record high quality audio whenever you want. This is a professional grade audio recorder that can be set to trigger from voice activation or used manually for continuous recordings. Simply attach the recorder to your key chain and never again be without a high grade audio recorder. The AR100 recorder is supplied with earphones permitting instant playback as well as a high speed USB cable for transferring the recorded files to your computer. Please Note: Please allow up to 10 days for delivery. We will dispatch these items sooner where we can.